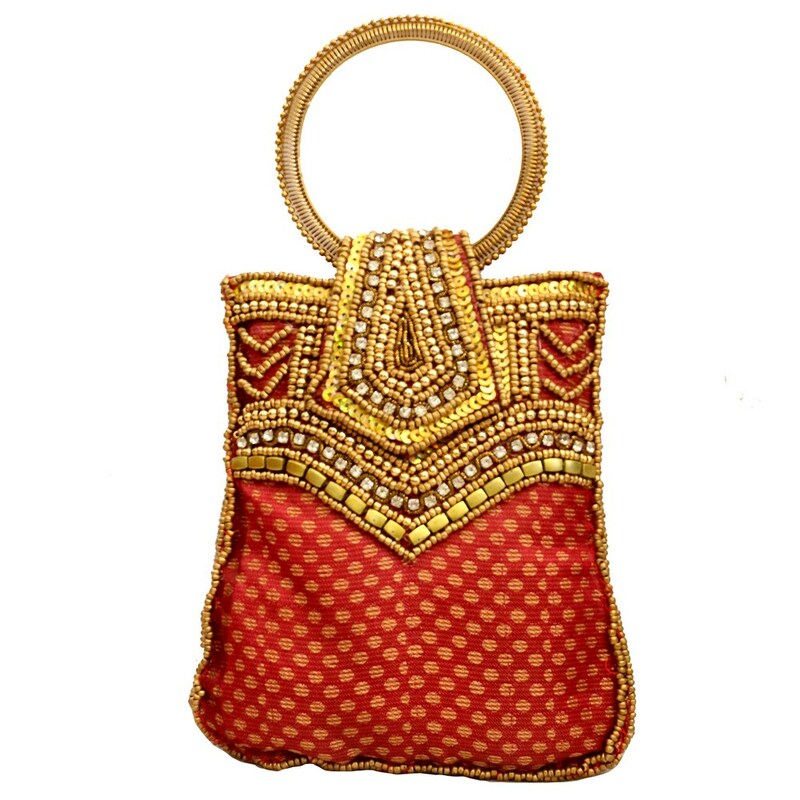 Get the stylish and enigmatic look with this lavishly embroidered red small clutch with roundish handle. The red fabric is well sequenced with golden attributes Read More..making the colour combination look superb on this tiny pouch. With elaborate detailing and style, this clutch is apt choice for traditional occasions. Show Less..